It hasn't been a good day for Kay today. She woke up with a bad headache. I want to say this has probably happen a hand full of times since surgery, and they usually go away. But today, was just a bad day. She has also complained about her ears hurting a couple times the past few days. I feel on edge. I know the surgery was not a cure.... but we have had so many good days since surgery... you forget about those bad days she use to have. Then today happens... and it hits home.... this is a life journey for her. I try not to get to worried... hoping that its all weather related. It seems when we have drastic changes in our weather, she has a little head pain... or I hear Ben complain about a headache. 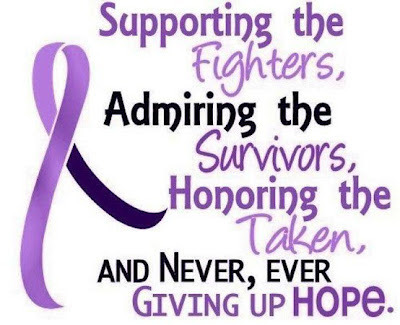 The Chiari community lost another chiarian today. I believe she was only 52. I don't think I have posted a lot on the deaths that I hear.... I would have to look back in my posts to see. I feel like I hear about one at least once a month. I hate it. Because the ages range everywhere. This is just one of those days, that reminds me why I fight so hard for Kaylie, and why I have become such a huge advocate for Chiari.